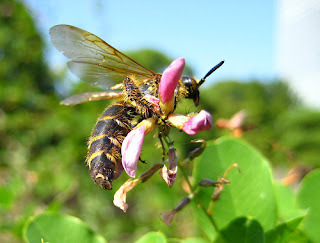 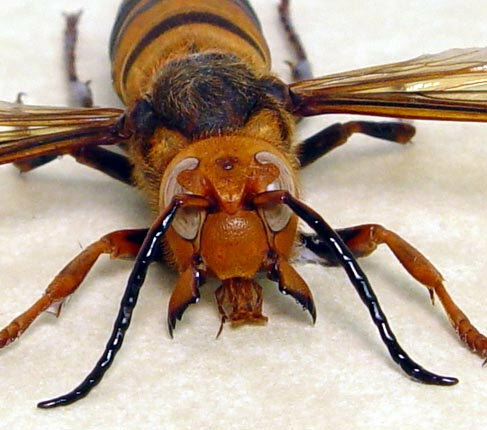 The Japanese giant hornet (Vespa mandarinia japonica) is a subspecies of the Asian giant hornet (V. mandarinia). It is a large insect and adults can be more than 4 centimetres (1.6 in) long, with a wingspan greater than 6 centimetres (2.4 in). 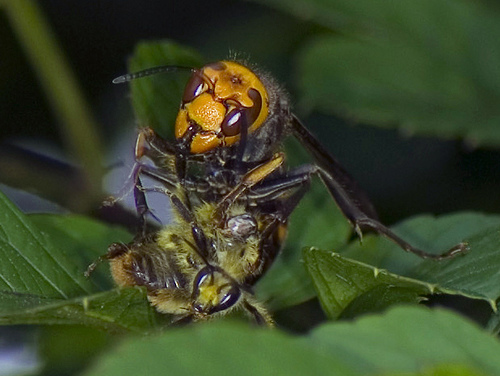 It has a large yellow head with large eyes, and a dark brown thorax with an abdomen banded in brown and yellow. 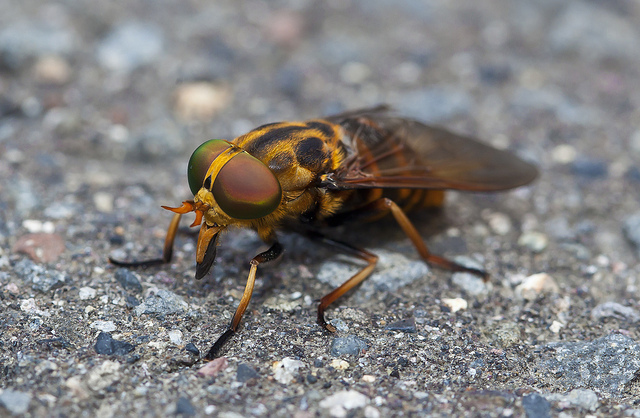 The Japanese giant hornet has three small, simple eyes on the top of the head between the two large compound eyes.